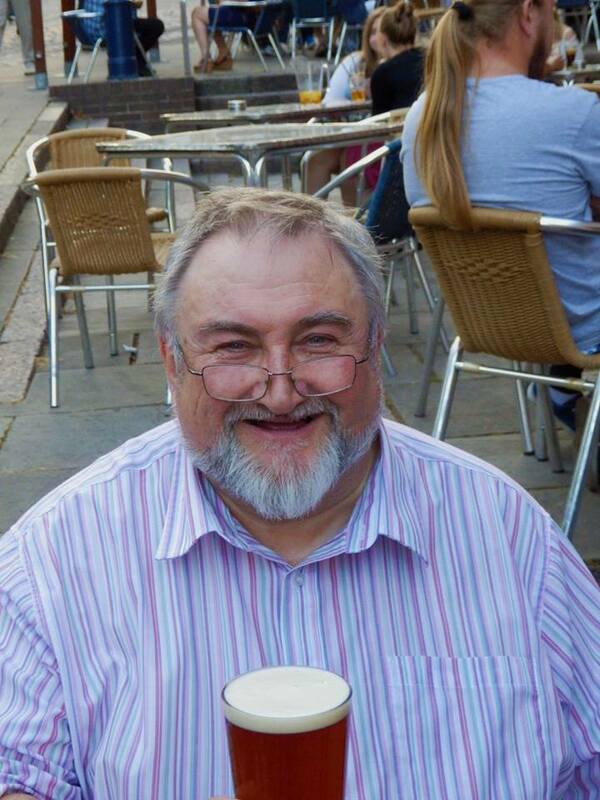 Roger Mosey is a chap you'd certainly want to meet. 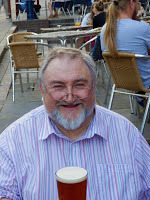 He witnessed what the Queen might have called the BBC's 'annus horribilis'. Savile, Newsnight et al. His perspective of that hugely challenging spell is thoroughly illuminating; and offers insight into how it must have felt deep inside the Corporation on those dark days. 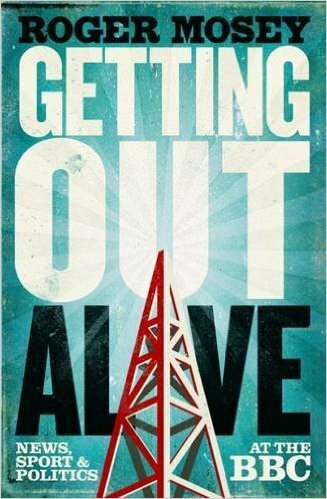 His book, 'Getting Out Alive', kicks off with those witness accounts of the BBC storm, and then pedals through his career: from his spell at the birth of Pennine Radio in Bradford; past the Today programme; being Valerie Singleton's boss; off to control 5 Live; and beyond. It's a brilliantly-crafted book, and a rewarding read. Like many tomes by ex-BBC staff, there is a tolerance of the Corporation's headaches and silliness, combined with a huge amount of love and respect. 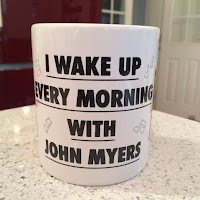 It's tough to conjure up a single epithet for John Myers. Is he a consultant? A presenter? A programmer? A businessman? 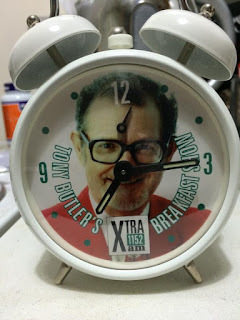 His biography calls him a 'radio executive', so I shall stick with that label, although it does not really do justice to this canny and much-loved larger than life figure. He's known by everybody anyway, so it matters little. 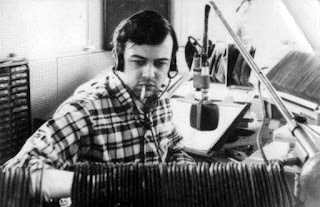 His "Team, it's Only Radio" book is an easy and entertaining read, with John's rich stories of the characters and key events in commercial radio's first age told with the gift of a great Northern story-teller. I gather he may be considering a sequel. I'll buy that too. In 1988, a woman turned up at Broadcasting House with a gun, frustrated at not being able to receive Radio 4. Any book which kicks off with that anecdote is certainly worth a read. 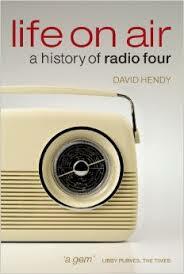 'Life on-air: A history of Radio 4' by David Hendy is a meticulously-researched account of a network with a special place in the nation's heart. It's maybe a little detailed for the sun-lounger, but a fascinating account of how the network found its feet and claimed its current territory. 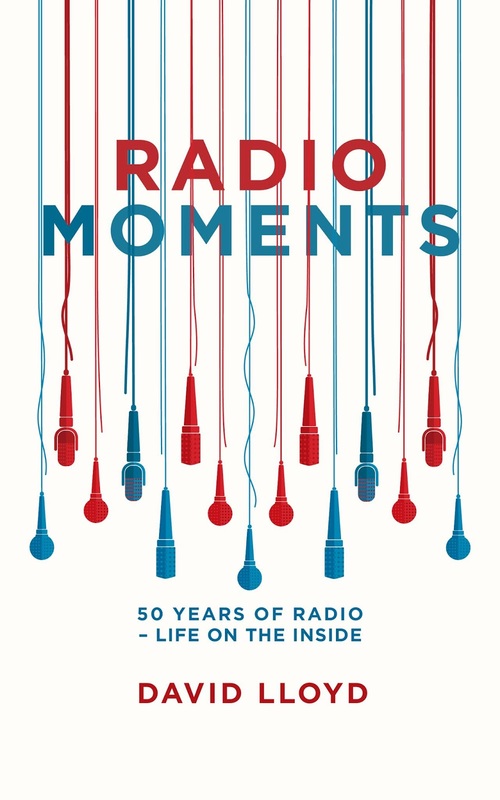 A lighter, but nevertheless painstakingly assembled, account of the station is offered in 'For the Love of Radio 4', written with deep affection by Caroline Hodgson. Lots of fascinating facts, a smile or two about the close relationship the station enjoys with its audience; and it utters the unsayable: that most Shipping Forecast listeners are actually on land. You can't help but like Scott Mills. He emerges from his 'Love you, Bye: My Story' biography as a thoroughly lovely, honest guy. His biog is another light read, in the nicest possible way, sharing the trials, tribulations and many successes of his life with utter openness and great humour. From his cripplingly shy youth and frighteningly typical hospital radio station, through the anxious early days at Ocean Sound, ending up at one of the best places in British radio. Tales of Scott the radio presenter are interlaced with stories of Scott the man, to huge effect. Also, witness the tale behind his impressive and still-remembered 'World's worst place to be gay?' TV show. I'll concede that it's unlikely even the most diligent radio person will wish to thumb through a law book on holiday over the Margaritas, but in a list of radio books, it's a self-evident must. Without one, you may not not have a job to pay for next year's holiday. 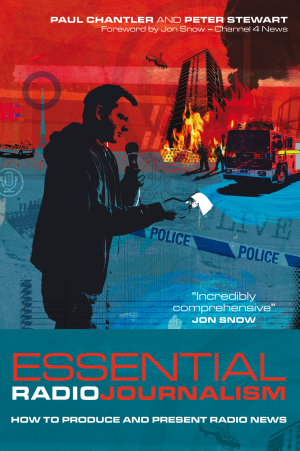 Essential Radio Journalism is a book designed to be read and used by people like us; although, as the name suggests, it really is not just about law. Paul Chantler and Peter Stewart show how to do the radio journalist job well; and offer a pithy reminder not to refer to 'huge security operations' or 'trained negotiators' in news stories, given small security operations and untrained negotiators are few and far between. There's even a section on how to sit when you're doing your bulletins. When it comes to great radio consultants around the World, a few names stick out. Phil Dowse is one; and another is Valerie Geller. I still remember fondly my time working with her on LBC, when we ensnared presenters into a luxury West London hotel room for a little counselling. Fascinating times. When you've met Valerie, or heard her speak, you can hear her insistent voice as you plough through her publications. She's a great performer. Her books are very much a practical offering. 'Never be boring', she rightly says. 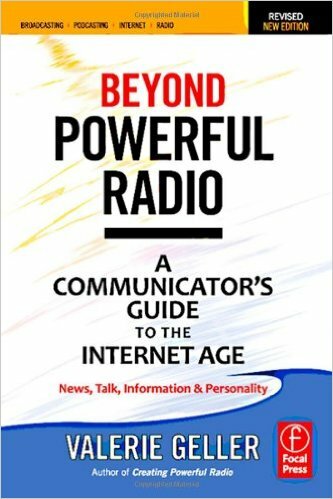 This latest publication takes us 'Beyond Powerful Radio', helping us to exploit radio in a changing media world. 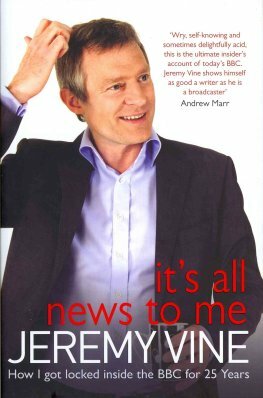 Jeremy Vine strikes me as someone who has fairly recently really discovered the depth of his love for this great thing called radio. 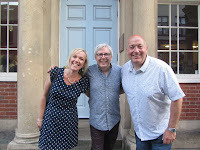 From being perhaps best known from TV, he has quietly now become a Radio 2 stalwart, delivering an enviably accessible, entertaining talk show with confidence and immense skill. His casting for that show was inspired; and he's mastered social media too. The quality of writing in 'It's all News to Me', however, shows his journalistic grounding and tells of a humble, likeable guy, "locked inside the BBC for 25 years". Beautifully-written, entertaining stories of a fascinating life; the life of the youngest ever presenter on the Today programme. One great thing about Kenny Everett is that much audio still exists. 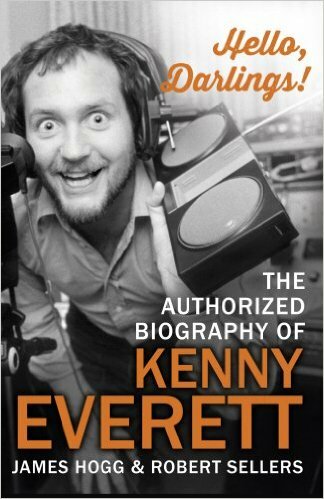 Much has been written too; but little with the care and love as this book from James Hogg and Robert Sellers: The Authorised Biography of Kenny Everett'. Affectionate, but utterly well-informed by those who got as close to Kenny's complex character as anyone could. And there's my own humble publication. Forgive me. 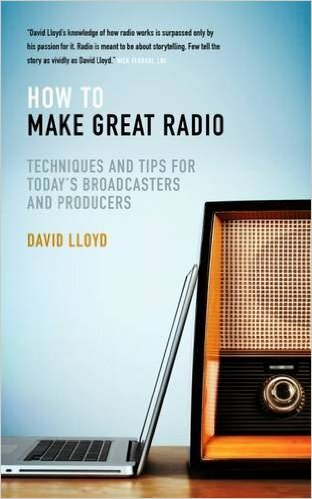 I'm never sure whether the title 'How to Make Great Radio' really helps describe it. Yes, there are many suggestions on radio technique, but also some stories too from my decades in this industry, given no-one will likely ever wish to buy my autobiography. I have to say I've been touched by the feedback from people I respect highly; and from those newer in the industry who suggest they've derived huge value from it. I'm particularly pleased that many who've been in the business some years have also suggested it has offered even them some food for thought. Grab it on Amazon, or direct from my fine publishers, Biteback, at a bargain price. Proceeds to the Radio Academy. 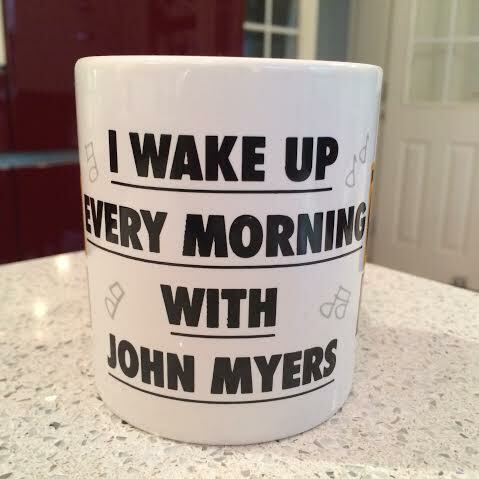 It's the only mug I never drink out of. 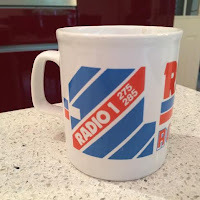 Such happy red and blue adolescent memories, brought back by the best radio logo in the World. The Radio 1 Thunderbirds logo. To me, that earthenware mug is worth more than a piece of Clarice Cliff. Not all radio station merchandising ends up being quite as precious. 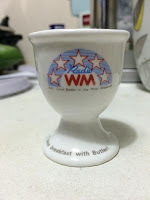 There was much excitement when Graham Knight, presenter of the then compulsory lunchtime magazine programme at Radio Trent, took delivery of his merchandising. Gaudy, cheap, purple pens had been ordered, inscribed with the name of his programme 'Trent Topic'. As Graham opened the big box, his face fell as he realised the printers, less familiar with the programming demands of the IBA, had printed 'Trent Tropic' instead. The pens were never sent back to whichever country had printed them; I think we gave them away on the programme one fortunate hot day in what must have seemed like an immaculately planned Summery contest. 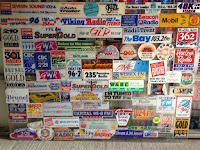 Radio stations loved merchandising. 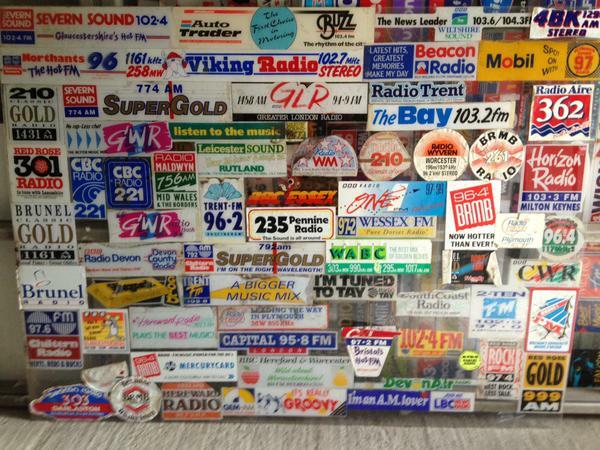 Back then it seemed cool to show the world which station you listened to. 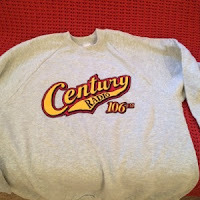 Some individuals would happily live their lives wearing a branded T shirt or sweat shirt. On acquiring the old Centre Radio premises from the liquidators, the eager marketing manager at its replacement, Leicester Sound, scratched his head on what to do with a million T shirts bearing the name of the station's ill-fated predecessor. Probably over a drink at the nearby Marquis, the idea was hatched to overprint each with the new logo and word 'recycled' . An idea ahead of its time, actually. Leicester Sound loved its merchandise. 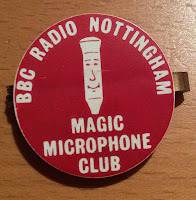 We had sweet little teddy bears with logos on their chests; and long promos on-air boasted their merits. Wonderful Wendy on reception also sold branded, baggy boxer shorts. 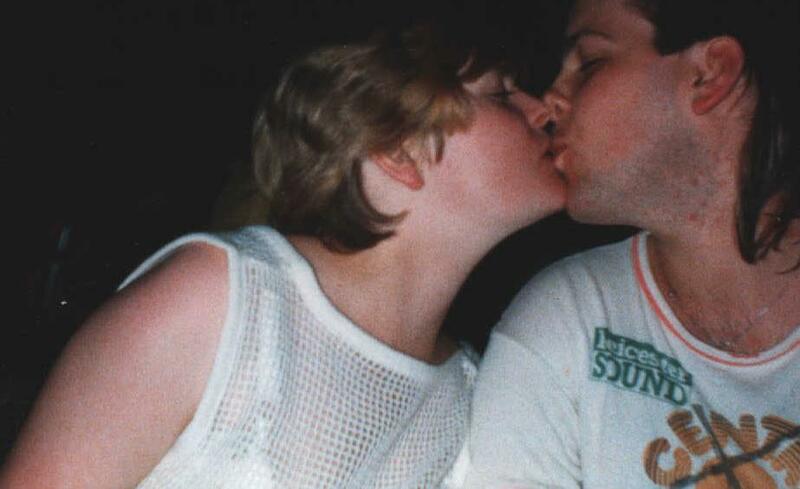 These were the Nick Kamen days when baggy was in. 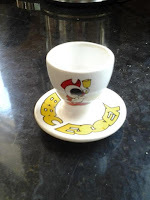 They were available in small, medium and large; although a surfeit of the latter appeared to be sold to most of the visiting listeners, as I recall. With male and female options in stock, Wendy would ask whether they sought ones with an opening - or without. 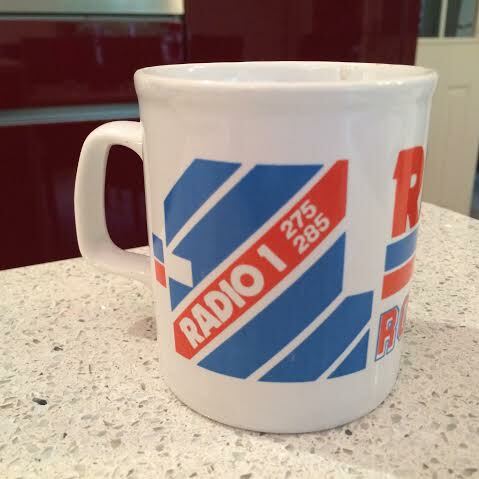 Thinking back, in those days, Leicester Sound probably earned more from merchandising than the radio business. Mind you, they were tough days for the medium. Profits from the Coke machine even helped. For most stations though, despite the best of intentions, merchandising stock attracts dust and bills. The size of the order inversely proportional to the likelihood of the presenter or station name/logo remaining sufficiently long. Mouse mats went through a phase of popularity; as did baseball hats and furry bugs. James Cridland reminds me that Viking in Hull offered skimpy knickers bearing the station's mascot 'Eric the Viking', until the idea failed to find favour with the station's new owners. And the there were the Pennine radio rain-hoods for those rainy Bradford days. Mugs have been the great survivor. Some stations still have them. You cannot not find a mug useful. It always has value. Some stations, however, would be well advised to seek advice on the design and wording before pressing send on their order; especially BBC local stations. Car stickers too endure. Some stations, again, seem tempted to devise creative designs which can only be seen as you crash into the car in front. In fact, all these years on, everything has changed about our medium: technology; ownership; brand names; music; presenters; regulator; and ownership. The only constants are arguably just those mugs and stickers. 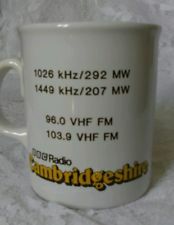 Do let me have a pic of your favourite example of station merchandising.Just for fun, of course. 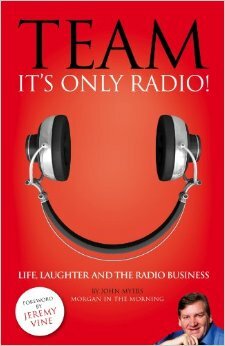 My book, 'How to Make Great Radio' is out now, published by Biteback. Reunions are awful things. Bumping into people you'd rather not see again; people you barely recognise; and acknowledging that you really are as old as everyone else is. The 40th anniversary celebrations of the first tranche ofcommercial stations are well underway. 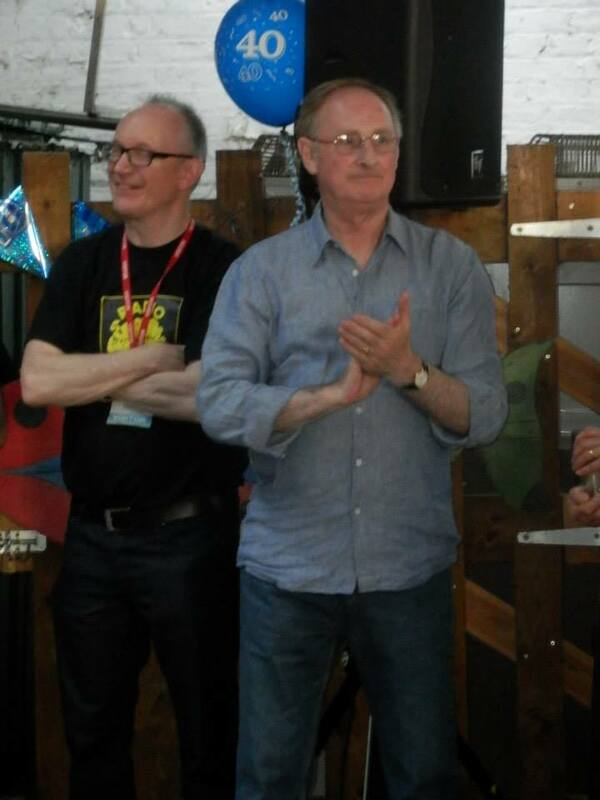 I gather the LBC celebrations in 2013 went off with a bang; the old Metro, Hallam and Piccadilly crowds really enjoyed themselves; and just a few weeks ago the, old Radio Tees (Tfm) crowd toasted four decades since Les Ross lifted the arm on the turntable for the very first time. 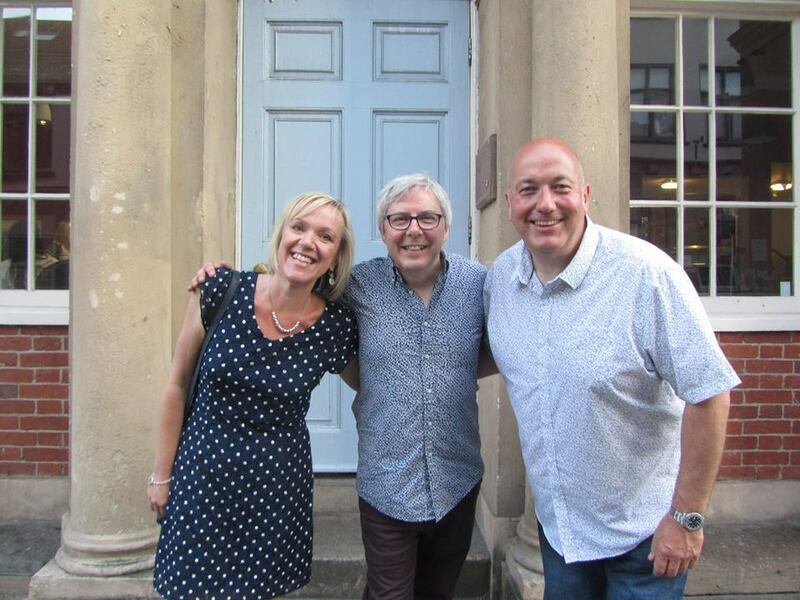 Last weekend saw the 40th anniversary of commercial radio in Nottingham. 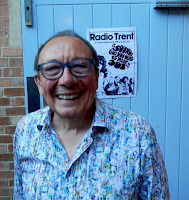 Radio Trent was the 13th in the list of stations celebrating those forty changing years. We were privileged to be allowed to take over the old premises on Castle Gate for the night, thanks to the wonderful co-operation of its current occupants, Base 51/NGY. 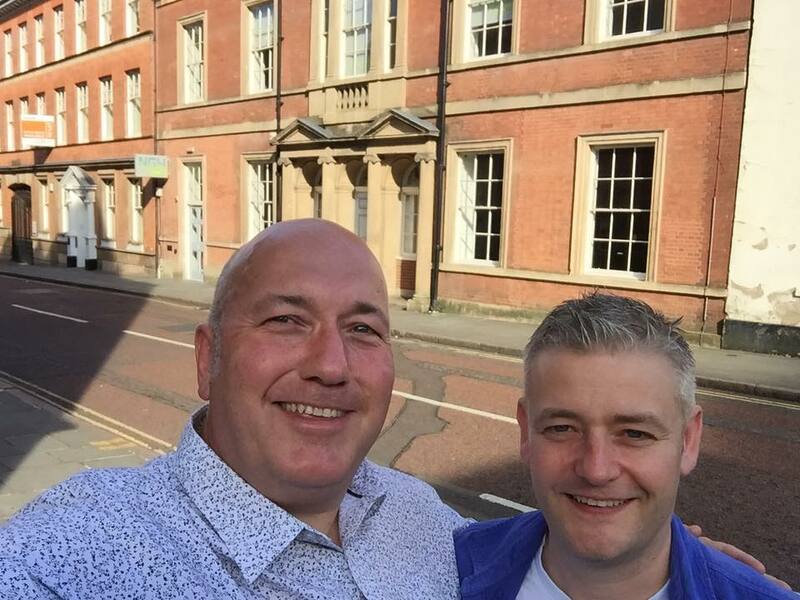 (@Base51) They manage an impressive new centre for young people in the city, housed in this lovingly restored historic building. The old car park, home of so many arguments in Trent's day, when presenters would rush up during a two minute oldie to shift their vehicle so the OB Land Rover could escape, has become a surprisingly attractive patio where generations of the old Trent guard could assemble in the early evening July sunshine. Ron Coles, who, as MD, nursed the station through its mid-life crises, stood to relay messages from those who could not attend; and Nick Shaw paid tribute to all those who had gone to work in what must now be a very great radio station in the sky, including his dear brother, John. 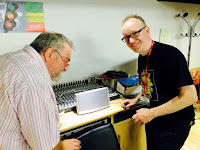 In a bizarre twist, the new venture now houses Notts YMCA radio/audio (@YMCA_digital) facilities in its basement, so in some senses the old subterranean studios have been restored to their seventies purpose. The breeze block studio walls remain, and even the old sealed window through to the old MCR 'control room'. John Peters, first voice on-air, stared at his reflection, aged 24, in the glass. 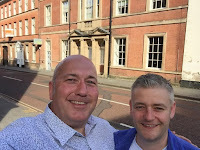 A drink or two had been consumed by the time guided trips around the building began, so emotions were high as the Trent team revisited the scenes of their crimes. Newsreader, Tim Heeley, drew up a chair in what would have been the newsbooth to deliver a familiar, reassuring late night bulletin, as he had most nights in the 80s. 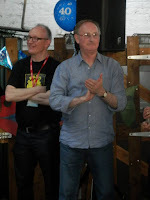 How brilliant it was to shake hands once again and trade memories with the journalists, the presenters, the sales people, the traffic team, the creative producers and accounts staff who had captained the old station through its colourful past. I tingled when I met the characters I'd grown up listening to, whose voices were the reason I worked in radio. 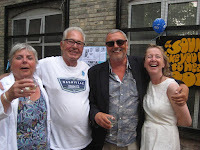 All generations were represented, from the smiling pioneers right through to a welcome smattering of the current Capital crowd, including Dino & Pete from breakfast who were welcomed as inheritors of the 96.2 crown. 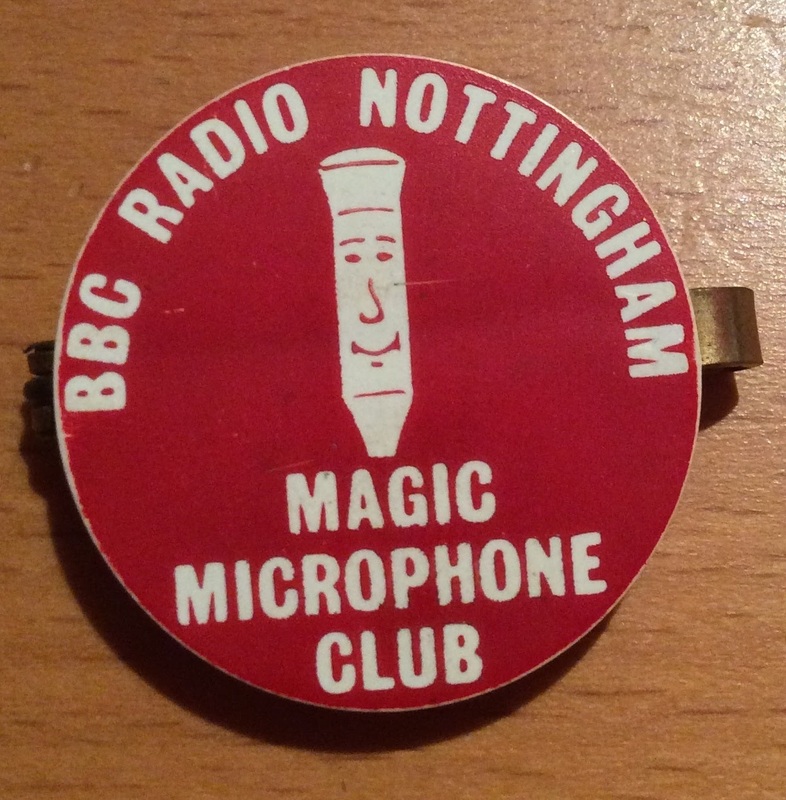 They represented today's necessarily efficient, focused radio stations, which now together deliver significantly greater audiences to East Midlands' commercial radio than we battled for in the vintage, vinyl days. Returning to our old home was a little like one of those odd dreams where random people from your life gather in an impossible location. Or being treated to an opportunity to step back in time, and continue, in loco, the conversations which had been severed some decades before. As we cleared up the venue late that night and restored the venue to its new purpose after a beautiful emotional journey, we slotted our memories back in their rightful place at the back of our minds. The old logos, the old jingles, the old pics returned to their cardboard boxes too, like Christmas decorations on the twelfth night. The reminiscences are over for now. Meanwhile, for all those lucky enough to still be working in this great medium and still as excited as ever, let's set out to create some more great times we can, one day, also look back on with similar huge enthusiasm. 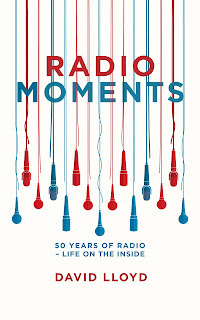 More - very personal - memories in my book 'Radio Moments'. Grab a copy now! Richard Huntington, Chief Strategy Officer, from Saatchi and Saatchi, will never put on weight. His energetic and persuasive presentation today at the impressive #tuningin conference, staged by a new colourful and United RadioCentre, commanded the attention of the usually fidgety throng. His message was clear, as befits an inspiring speaker. Trust matters to brands. He told with affection the story of Barclays Bank which, like Lloyd's where I worked for a desperate seven months, used to chain its pens to the counter. They were fearful that people might rush in, intent on stealing the lot. They did not trust their customers. And if they don't trust their customers, why should their customers trust them? 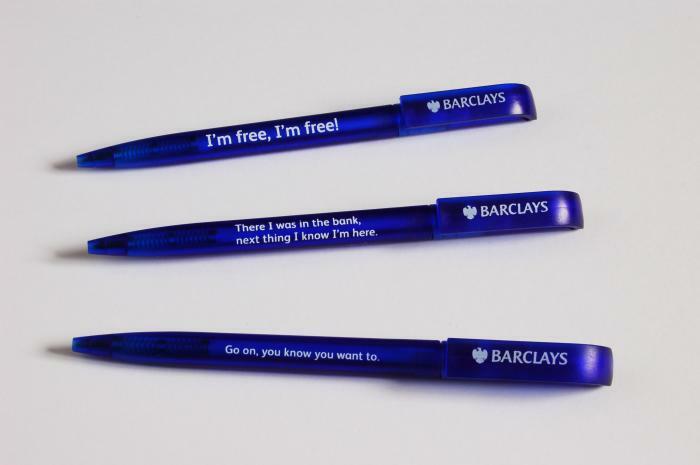 The story ends happily, as Barclays cannily moved to branded pens, inscribed with the motif 'borrowed from my bank'. Great brands do not ask for trust, they show it, in the hope their customers will offer loyalty in return. This concept of repricosity is well-established. In my book, I quote the work which suggests that even offering a cup of coffee to someone helps to build an expectation of mutually fruitful dealings. In commercial radio, that repricosity can be shown by delivering entertaining or useful commercial content, rather than shouty ads. Radio is trusted. We know that. My station received an email a few weeks ago from an angry listener complaining to us about a client from which she'd had poor service. She blamed us, because we'd aired the ad. She made our responsibility abudundantly clear 'I heard the ad on your station, so I thought it wouldn't be a rip off'. Another listener wrote to us last year, having bought a ticket to our marvellous Free Radio Live annual multi-artist gig at the Genting Arena. She asked if we were laying on a train. We, her trusted friend, had sold her a ticket and she felt we might be able to offer her a lift too. The fact that listener invested in tickets even before any line-up is announced is trust again. Matt Deegan related to me, over a tasty slice of ham at lunch, the angry epistles he receives from parents who feel that the odd song on his Fun Kids station is unsuitable. One sympathises with the agony of selecting songs for a range of kids of all ages. The listener, however, had no such sympathy. She felt the station she trusted had let her down. We get the same, with listeners writing occasionally saying 'I know I can normally have you on, but today I worried about what you said when my kids were in the car'. BBC station BAs will often tell of the calls they get asking the location of a doctor's surgery or what time B & Q closes. Radio stations are trusted to know everything. Which is trusted more - radio news or the press? Expectations are high. When a programme ends its run, or a programme strand no longer can justify its cost, listeners are indignant. How dare you change something? Whether a commercial or a BBC operation, there is an expectation that radio stations are there to provide a public service. A service they trust. Radio should make more of the trust it commands. Do people trust ads on a Google search as much as they trust an ad on radio? 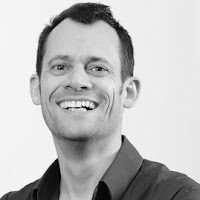 Do people trust a presenter delivering a commercial promotion more than a banner on a website? And, we should be sure that, however, our industry continues to change, we treasure that reputation. We should, in the words of Richard, 'leave something on the table' and not extract every ounce of value from the listener without consideration. 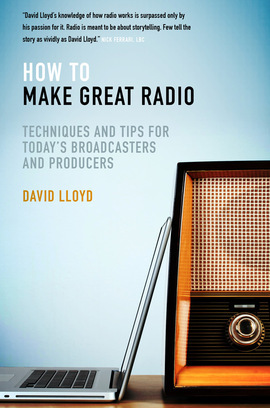 My book 'How to Make Great Radio' is out now from Biteback publishing. Proceeds to the Radio Academy.